The word “apostle” is related to naval expeditions, so in terms of the New Testament, one who is sent on a campaign to faraway lands. However, the term also means that those sent are not coming back. They are also to colonize the new territories, being the living presence of the one who sent them. Among Jesus’ many followers, he chose twelve to be apostles (Luke 6:13), those who would give their lives in the gospel campaign. Nearly the same thing occurs in Acts. But Saul was chosen before he even began to follow, and he too, would colonize new lands and give his life for the one who sent him. But not all follow, let alone go where they are sent. “For many are called, but few are chosen” (Matt 22:14). Israel was God’s chosen people, but Hosea says they were carried away by the wind because of their faithlessness. We too, will either be carried away by deceitful orders (Eph 4:14) or go where our Lord sends us. A wind or spirit will carry all people to some destination or another. 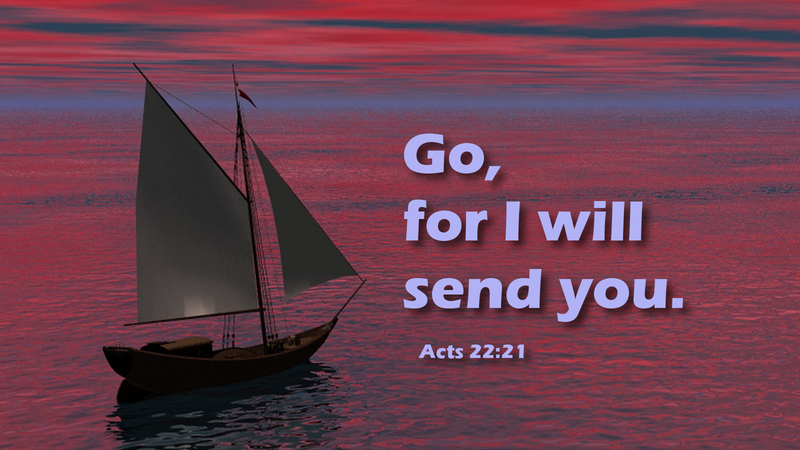 May you follow Jesus Christ and be his living presence where he sends you. Prayer: Help me follow you, Lord, to wherever your Spirit blows. Amen.